This collection of myths - some of them simple, strong pieces of narrative, others mysterious, poetic and often amusing - illustrate the religion and thought of the West African Yoruba People. 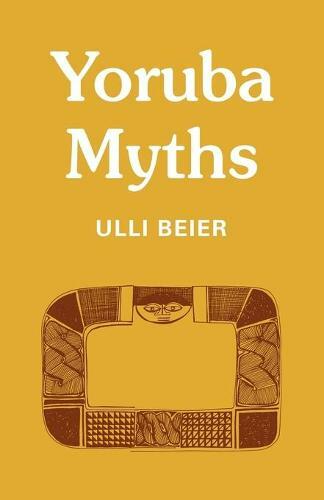 Interspersed with drawings by Georgina Beier of Yoruba motifs and collected and translated by authors and artists long-familiar with Yoruba culture, the myths are compiled and introduced here by Ulli Beier, who himself holds two Yoruba chieftaincy titles. Some are creation myths: these explain the division of the original God into the many orisha, or gods, and the development of their various functions. In the folk- or trickster-tales the orisha often assume different personalities whose actions and their consequences reveal the Yoruba wisdom and customs. This book makes the myths of an orally transmitted religion available as literature to Nigerian school children, who are often unfamiliar with their traditional mythology. It will also strengthen English interest in original African literature.